AVALON — It is not uncommon for some boaters to traverse a few miles across the Pacific Ocean, arrive at an Avalon Harbor mooring, attach their vessel to a can and remain there for a few days. Catalina Island certainly offers Southern California boaters the romanticism of spending some time at sea. Spending time on solid ground at Avalon, Two Harbors, Catalina’s interior or any of the island’s semi-secluded beaches can make any visit to the island an enriched experience. Most activities on the island are well-known to boaters who frequent Catalina, such as the semi-submersible submarine tour aboard Nautilus or the Jeep-themed tours through the interior, but there are a few gems still waiting to be discovered by the boating masses, such as on-the-water room service provided almost daily by a boat selling morning meals to any and every vessel in the harbor. The Log’s reporter spent a couple days in Avalon and on the island sampling food, exploring the interior and meeting with locals. Avalon is a small town, so most of the restaurants are well-known. Many regular visitors probably have favorite restaurant to visit, table to sit at or meal to order. A grand total of zero chain restaurants exist on Catalina Island, meaning each restaurant has its unique appeal, taste and clientele. The Log’s reporter visited seven restaurants within a 36-hour span, sampling many dishes with a pair of locals. Steve’s Steakhouse on Crescent Avenue is located on the second floor of a three-story building. Most of the tables have views of Avalon Harbor and the Pacific Ocean. The restaurant is owned by the members of the Bray family, who have a long history on the island, and offers standard American fare. Highlights include a coconut shrimp appetizer as well as tender skirt steak and Fillet Mignon dishes. 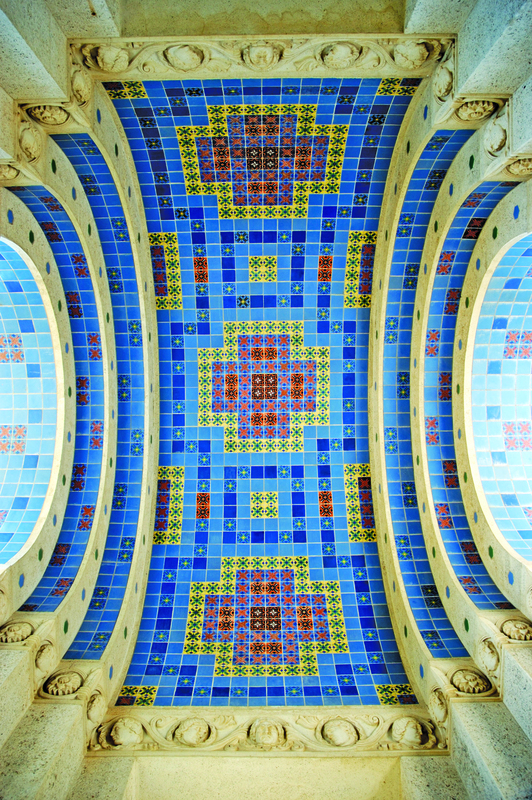 The Wrigley Memorial features unique architecture and offers visitors a glimpse of Catalina history. A short, five-minute walk from Steve’s Steakhouse is the only Chinese restaurant in town: Mr. Ning’s Chinese Garden on Sumner Avenue. The restaurant’s owner, Leonard Ning, arrived on the island in the 1970s. He finally opened the Chinese eatery in 1988. Popular meals include cheese and crab wontons served with sweet and sour sauce as well as green beans cooked in garlic sauce and served with white rice. Lunch dishes are quite affordable. One of a handful of Mexican restaurants on the island is Coyote Joe’s, which originally opened as a taco stand before expanding into a full-service eatery with a patio ideal for people-watching. The restaurant offers a unique pairing of a potato taco with a drink called the John Daly. A combination of vodka, lemonade and iced tea, the John Daly is the restaurant’s answer to the Arnold Palmer. Coyote Joe’s is located across the street from Marlin Club. The closest thing to a chain restaurant on Catalina Island is Bluewater Café, which has locations in Southern California and Central Arizona to complement the beachfront branch in Avalon. Bluewater Café is a great destination for seafood lovers. The restaurant serves fresh seafood, which Bluewater advertises as “sustainably caught.” Boaters should try the crab cake with aioli pesto and fresh flowers or clam chowder. The restaurant’s large serving of artichoke is tasty and rather filling. Farther down the Crescent Avenue boardwalk is C.C. Gallagher, a former bank converted into a café-like restaurant with a vault turned into a wine cellar. Anyone with a sweet tooth will enjoy the ginger beer float with caramel-salted chocolate gelato. This float is best enjoyed with Bundaberg ginger beer. Sweet tooth lovers would also enjoy Catalina Coffee and Cookie, which offers a delicious sweet and spicy cinnamon tea and a smorgasbord of tasty desserts and pastries. Chef Greg Eubank personally prepares the food each evening. Coincidentally, Eubank also operates a breakfast boat, which offers food delivery each morning for boaters. 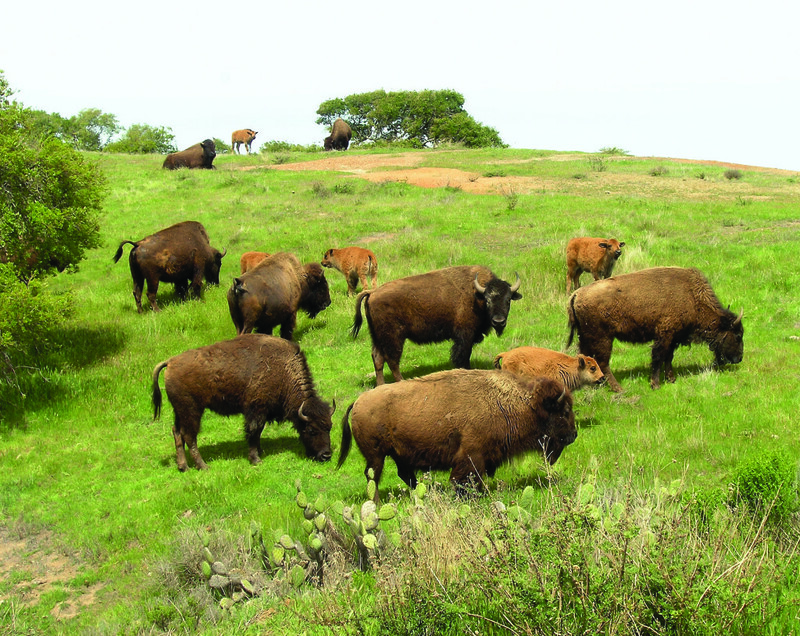 Jeep tours, hosted by the Catalina Conservancy, are available to enjoy the islands interior, which is populated by foxes and more than 10 dozen bison. Sims launched his breakfast boat service in May and will continue to have his vessel, loaded with several food and beverages, weaving around moorings until October. 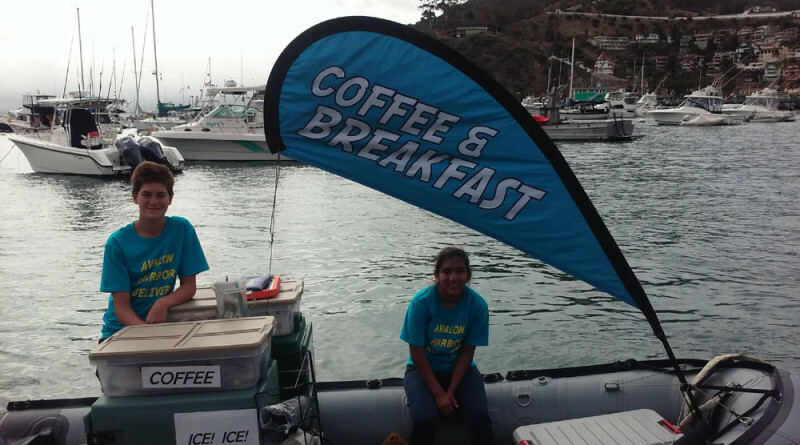 Boaters can pre-order a turkey sausage or bacon breakfast burrito the night before or contact the boat directly between 7 a.m. and 10 a.m. on VHF Ch. 6. The breakfast burritos are prepared during the wee hours of morning and ready in time to be on the water just ahead of 7 a.m. each day during the week. Also on the menu are cinnamon rolls, turnovers with apple or cherry, bagels, croissants, coffee, soda, juice, water and bags of ice. Drinks range from $3 for water to $6.25 for a Starbucks double shot; the breakfast burrito runs $7.75, while the cinnamon roll is $5.50 and turnover costs $4.25. Boaters who do not want to take a skiff or shoreboat to grab a morning bite on land would certainly find the breakfast boat attractive. Once an order is placed or called-in on Ch. 6 the breakfast boat comes up to the vessel. One person will hand over the food while another employee runs a credit card payment on his or her iPad. Sims said it is not uncommon for some boaters to leave large tips. He hopes to expand the service to a year-round operation. For now boaters can take advantage of the breakfast boat during the week and on select weekends. Call 310-510-2447 for more information or just hail the breakfast boat on Ch. 6. 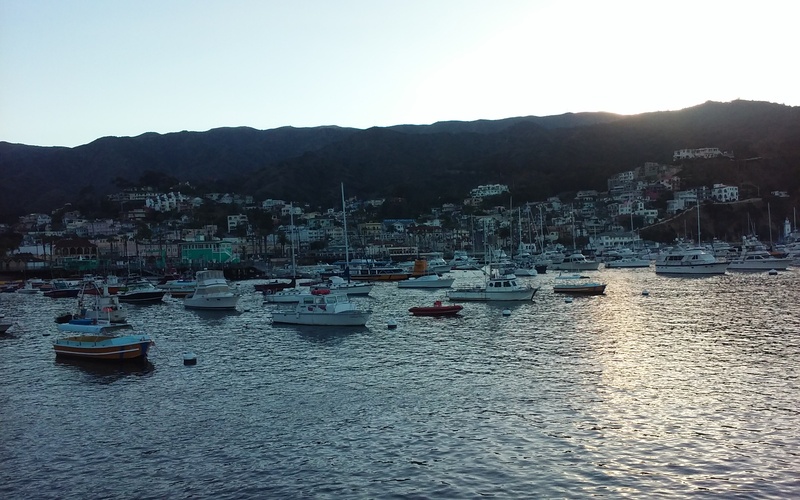 There is more to Catalina Island than Avalon Harbor and a few restaurants. The island’s interior has much to offer for fans of the outdoors or anyone who enjoys a good adventure. Thrill seekers can test their adrenaline on the zip-line ride on the edge of town. Hikers and cyclists can enjoy one of several meandering trails lining the island’s rugged terrain. A few gems to visit in the interior include Airport in the Sky, Eagles Nest Lodge and one of a handful of campgrounds ideal to setup a tent and evening fire. Some boaters and visitors might prefer to tour the interior aboard Catalina Conservancy’s Jeep Eco-Tour, which starts at 125 Clarissa in town and works its way inland for two- or three-hour tours. 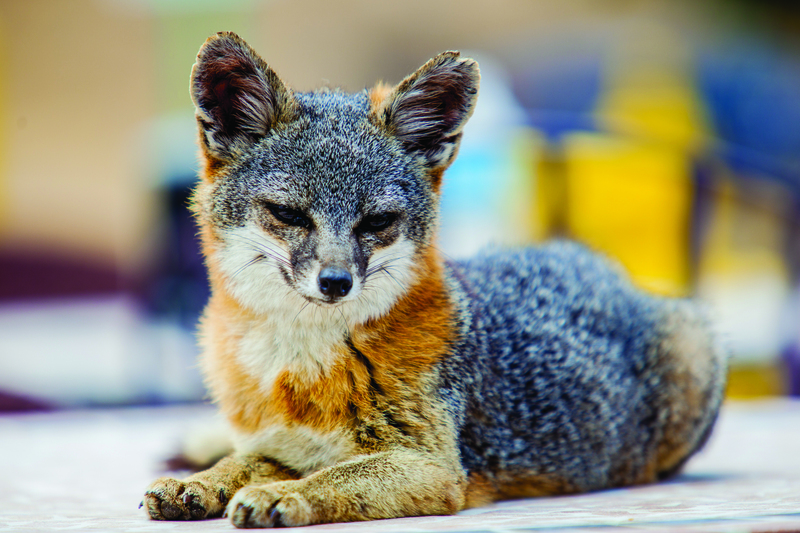 Others might find adventure in biking or hiking the island’s trails, which feature dirt, slurry or undeveloped roads and slopes at 10 percent grade or more. Of course, beware of bison, foxes, rattlesnakes or other wildlife when navigating the interior. The interior is also a “faster” way to get to the many quite beaches and points on the other side of the island. Little Harbor and Ben Weston Beach are great destinations for anyone who wants to enjoy a serene ocean atmosphere away from Avalon or Two Harbors. The “T” word might be cringe-worthy to any who visits Avalon or Catalina with any frequency, but being a tourist on the island, whether arriving by private boat or Catalina Express, can be fun. Boaters might already know about the Wrigley Mansion in Avalon, Banning House at Two Harbors, Casino and Catalina Island Museum by the harbor, the Green Pleasure Pier jutting out into the water just beyond the boardwalk or moorings at Descanso Beach. However, boaters traveling to Catalina with family or friends could certainly enjoy a few moments chasing flying fish or observing the Garibaldi, California’s official state saltwater fish, in its natural habitat. Afishinado Charter regularly offers a 90-minute boat ride along the Catalina coast to watch flying fish shoot out of the water. Capt. John King helms Catallac, an 83-foot catamaran, from Green Pleasure Pier to Goat Harbor. The flying fish start to dart out of the water as Catallac approaches Whites Landing. The flying fish tour is a great experience for families. 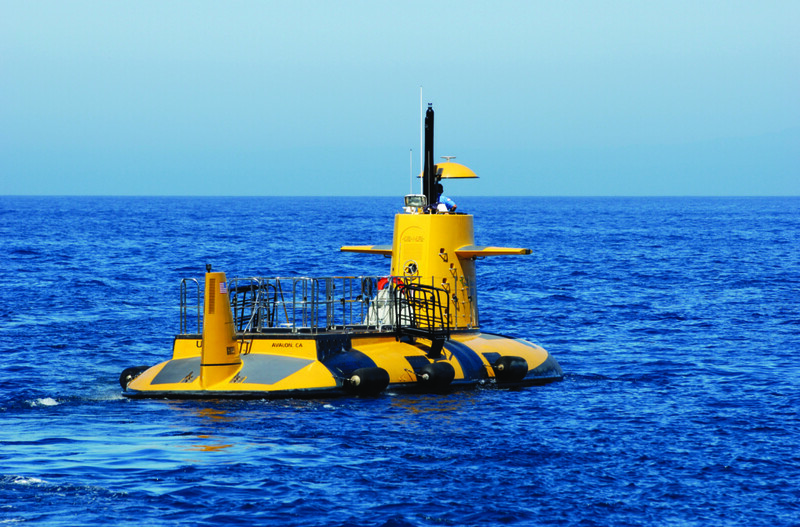 Another family fun experience is the 45-minute ride aboard Nautilus, the semi-submersible submarine equipped with several windows providing views Catalina’s fauna and underwater life. Several fish species can be viewed up close and personal during the trip, including Garibaldi and Calico Bass. Boaters who set foot on land can take in the Catalina Island Museum. The museum is currently operating out of the Casino but a newer, larger venue on Metropole Avenue is scheduled to open later this year. The new venue will feature more exhibitions than the current museum as well as an amphitheater and outdoor courtyard. There are plenty more activities for boaters (and anglers) who visit Catalina Island. Stay tuned to The Log for intermittent features on boater-friendly amenities offered in Avalon and on the island.